'Another stimulating and in depth reflection on an issue facing people of Christian faith today from Brian Harris. He identifies the potential of faith turning ugly although many in the church are in denial of this. The writer also highlights the well known figures who have concluded that faith is too toxic and ugly to be anything other than destructive such as Marx, Hitchens and Freud and responds well to their arguments. Perhaps the greatest value of this book for the Christian leader or follower of Christ are the 3 sets of tools which are offered: the indicators that faith is straying from its true role and is not as life giving as God intended; the signs that church leadership is becoming toxic and the pointers to a faith which is healthy and life building. His development of the importance of orthopathy alongside orthodoxy and orthopraxy are significant. As people of faith we need to have the correct attitude and feelings alongside the correct belief and actions. 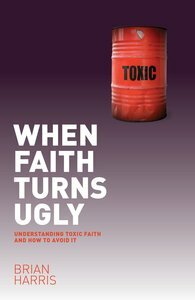 About "When Faith Turns Ugly"